Hello Martina. I am completely natural. I too had heard of the Aphogee Protein 2 step as the miracle cure. 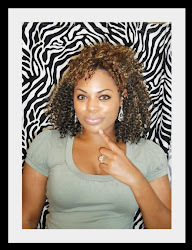 I washed my hair with my Giovanni shampoo applied the protein and sat under the dryer for 30-45 minutes. My hair was beyond recognizable. The detangling process was a nightmare. Not to mention the loss of strands. YIkes!! I've heard of another protein conditioner call Rapunzel. I'll be trying that next. I don't believe its as harsh. So many friends of mine have tried this and sing its praises. I'll keep you posted. Make your hair look good by adding nutrients. OMG i just did this treatment for the first time yesterday and the EXACT same thing happened to my hair... i'm so disappointed that i want to cry thinking about how much of my hair came out while combing and how dry it is!!! :'( NEVER EVER again!!! I'm with you on this! Mistake number one was using Aussie 2 in 1 shampoo. It contains dimethicone which leaves a film on the hair. If you are going to do a treatment of any kind, start with clean hair. Use a shampoo that removes all build up. Then do the treatment, and finish with a moisturizing conditioner with or without a cone in it. Of course it could just be that the treatment you need is a less intense one that contains more emollients. To Anonymous: You can not "heal" breakage. The ends need to be cut off and freshened up. Then you'll need to balance your protein to moisture for your hair. Normally, hair will feel gummy from being overly damaged. In which case the only solution is to lay off whatever it is that is causing the damage. Moisturize, moisturize, moisturize, and use a moisturizing conditioner with some protein in it to give your hair a good dose of balance between protein and moisture. The protein treatment should have been done a week or two before coloring your hair. Nothing you put on your hair will repair any damage. It's like putting concealer on a pimple. It's a temporary solution. You can help prevent, and maintain. Why did you use two packets? That seems like it would only cause the solution to be more concentrated which is probably why your hair was super hard. I agree with the above anon that using a shampoo with a -cone in it was a bad idea. Hair needs to be clean. No cones. Please please please, no one (african american hair) use the aphogee treatment. It is cheap and your hair will break off. My hair has been in recovery mode since a hair stylist used that crap on me. The good news is that I have a new head of hair only because the old fell off or broke off with aphogee. Use any kind of moisture treatment. No protein. My results were nothing like that. I used it for the first time & loved it. I used Pantene for natural hair then I did an apple cider rinse. After that I used the protein treatment. I combed it through my hair with a wide tooth comb then used a regular hand dryer (cause I don't have a hooded one) I may have dried it for no longer than 15 minutes. It didn't take that long for it to dry. Perhaps 30-40 minutes was too long. Then I rinsed it out completely. My hair was already soft even before I used the 2nd step. Not sure if you are willing to give it a 2nd chance. if not, I understand. I used the Aphoghee 2 in 1 today and I love it. I am completely natural with a medium afro, and my hair was not feeling like itself, so I took a trip to the local beauty supply store. The clerk recommended the 2 in 1 and warned me of the stench. After going online and reading both pros and cons about the product, I decided to give it a go. Yes it stinks! Yes it hardened my hair! Yes, after I rinsed off step one, I felt a film on my hair, but it says that the protein fuses to the shaft, so I have it a second rinse to be sure I got it all. BUT I loved step two! The feel, the scent and the final rinse. I finished my hair with my usual shea butter and braids. I took before and after pics, which I will probably put on FB, BUT I am very pleased with the product. I guess every product doesn't work for everybody.